Welcome to Inn Walden; your own personal sanctuary and romantic country retreat. Here, gracious Five-Diamond service and thoughtful architecture coalesce in unrivaled hospitality. Spacious suites feature unique designs that redefine quintessential luxury. Room with a view takes on new meaning as huge windows and glass-enclosed walkways beckon guests outside to sweeping lawns and horses grazing in pastures that fade into natural woodlands. Relax into reverie at Spa Walden; or charge into golf; tennis; horseback riding; swimming; hiking or countless other active adventures. After a soul-satisfying epicurean adventure; wander back to the peace and comfort of a roaring fire; or sink into immense serenity in your spa tub. Located in the heart of Glenmoor stands the Clubhouse. Located within minutes to the cultural shopping and business complexes. A short drive from Cleveland, Columbus, Toledo, Youngstown and Pittsburgh. 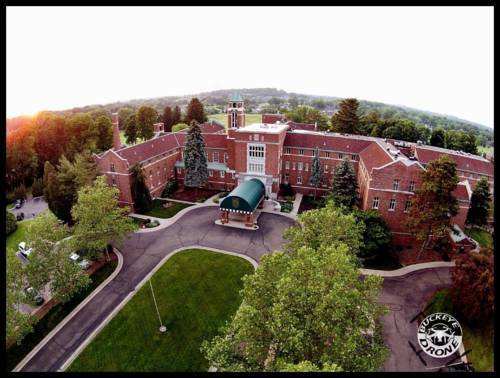 Only 7 miles from the Akron/Canton Regional Airport. 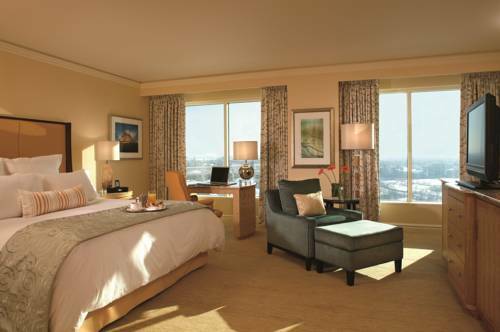 The Cincinnatian Hotel is a Mobil Four Star/ AAA Four Diamond hotel that epitomizes modern luxury in an historic setting. Guests at the Cincinnatian are treated to legendary service and an elegant atmosphere that includes the esteemed Palace Restaurant for American fine dining and state-of-the-art meeting rooms and banquet facilities. 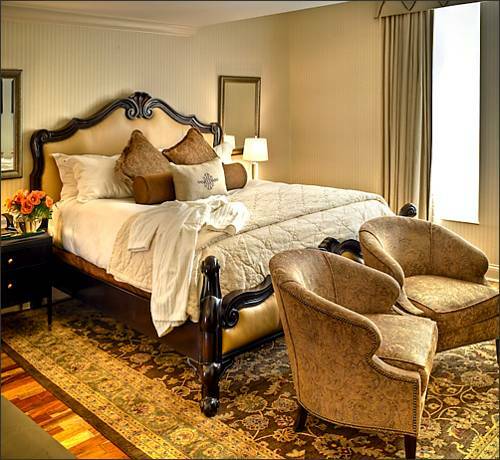 Comfort and style are never compromised at downtown Cincinnati's only small luxury hotel. Experience style and sophistication at the revitalized Cleveland Marriott Downtown, an ideal location for meetings and gatherings of any size. Offering stunning views of Lake Erie and breathtaking city skyline, this 25-story Cleveland hotel boasts 400 guestrooms with sleek furnishings, an indoor pool and fitness center. Take advantage of our renowned hotel staff for unmatched hospitality and local knowledge for an authentic Cleveland experience. For casual dining, relax among warm wood styling at Jakes sports lounge or taste contemporary American cuisine at Davids Restaurant, situated within this Cleveland, Ohio hotel. Rediscover comfort at the refreshingly-modern Cleveland Marriott Downtown. Cleveland's only luxury hotel located in the heart of the downtown business district. Richly designed meeting space ideal for 14-450 guests. 20 minutes from Hopkins airport by rapid rail or taxi. Hotel is connected to Tower City Center featuring over 100 shops and restaurants, Horseshoe Casino Cleveland, and an enclosed walkway to Quicken Loans Arena/Progressive Field. Hotel is within walking distance to the trendy Warehouse District and Fourth Street entertainment areas. 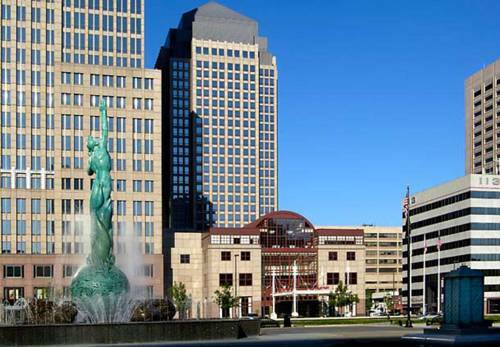 Easy access to Rock and Roll Hall of Fame, Playhouse Theater District and University Circle. 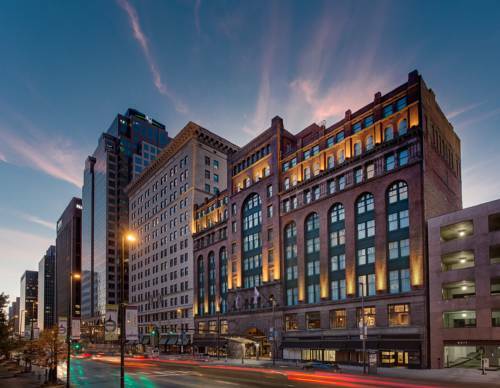 Located in the Historic Gateway Neighborhood, at East 4th Street between Euclid and Superior Avenues, Hyatt Regency Cleveland at The Arcade provides convenient proximity to all major attractions in Cleveland. The hotel is within walking distance from the Rock & Roll Hall of Fame, Progressive Field, the Horseshoe Casino, the Theater District, and the Cleveland Convention Center and Global Center for Health Innovation. This unique Cleveland landmark hotel offers remarkable historic architecture alongside modern convenience, and is truly one of a kind.